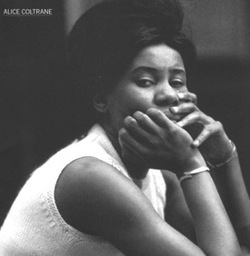 for Alice Coltrane, the wife of legendary saxophonist John Coltrane. The pianist-spiritualist passed away on Friday (Jan. 12) in a suburban Los Angeles hospital of respiratory failure at age 69. Huffington Post writer RJ Eskow writes a tribute to Alice Coltrane and late saxophonist Michael Brecker, who died last week, as well. Check out Alice's discography on Impulse!, right HERE. Behind every great man, there's an even greater woman . . .
Rest In Power, Alice Coltrane. Love Always . . . 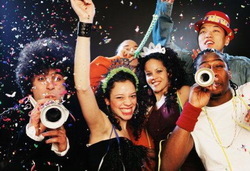 I would like to wish everyone out there good health and prosperity in 2007.